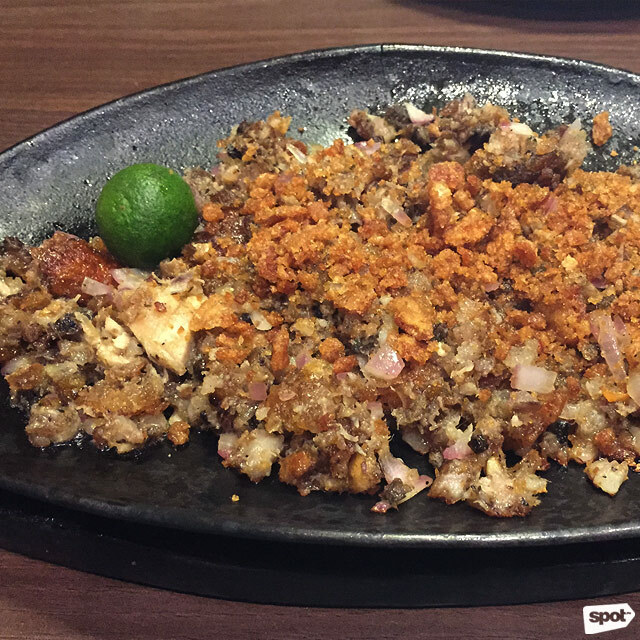 We throw caution to the wind and indulge in all the pork sisig's sizzling, putok-batok glory. 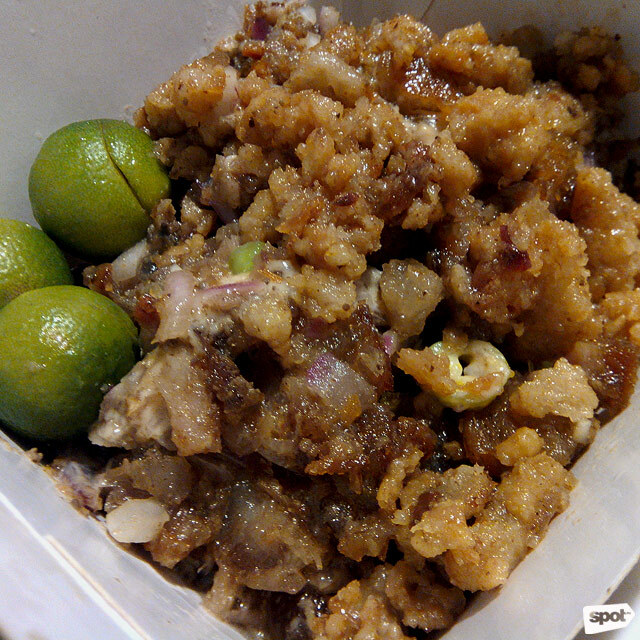 (SPOT.ph) You really can’t go wrong with sisig, but you can’t say that all sisig are made equal. After all, there are lots of ways this greasy old favorite can be cooked, and naturally, there are certain levels to perfection. And so we endured the pungent, mouthwatering aroma, the Pavlovian crackle and sizzle, and the rich assortment of flavors that we had to savor for the sake of updating our pork sisig list. While a few classics dropped out, some time-tested ones still made the cut. 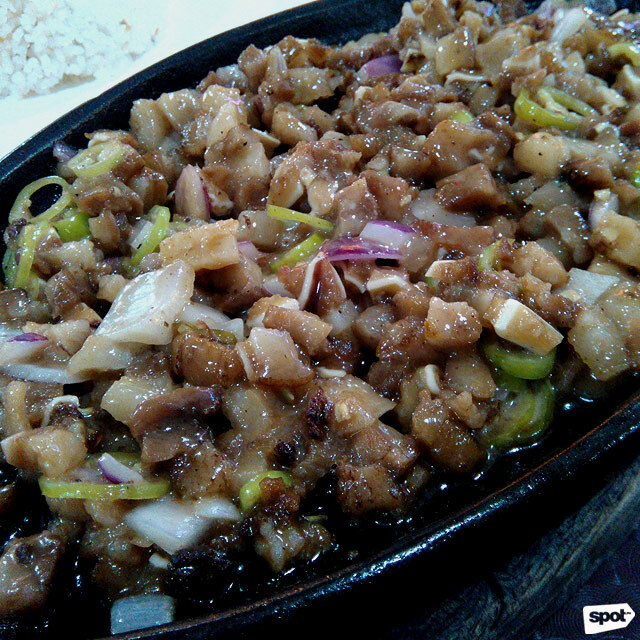 These are the top 10 sisig we would hunt down any day, come hell or high blood pressure. Nestled in the depths of the Alabang Town Center food court is a gem of a stall called Sisig Bar by G&B. For only P150, you already get a full plate of sisig good for two. While some might shy away from the glistening, clearly visible fatty parts, the dish’s sweet-and-salty sauciness would make them want to call for extra rice. Sisig Bar by G&B is at Food Choices, Alabang Town Center, Muntinlupa City. Gerry’s Grill has a fairly straightforward approach to sisig. The sizzling dish, with its chopped meat and mix of onions and garlic, is the perfect match for your choice of alcohol. Crunchy and less greasy than other sisig orders out there, this pulutan would also work with a cup of rice for the hungry solo eater. 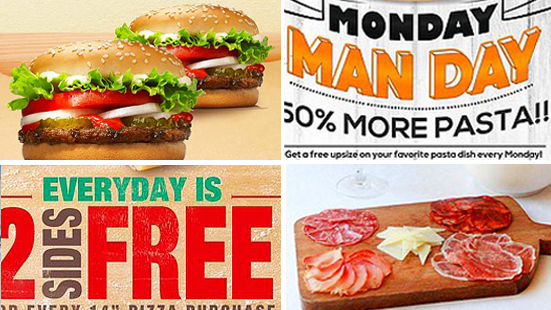 See a list of Gerry’s Grill branches. We like how Icebergs’ Famous Sisig is served with chicharon heaped on one side. Not only can you measure how much chicharon you want in your sisig, but you can also mix some of the salty, crunchy bits into your rice. If you don’t act—or mix—fast enough, the heat from the sizzling plate will swiftly cook the runny egg yolk ringed by delicious meat. You may detect a hint of margarine, but it’s the taste of liver that will linger in your mouth, which isn’t a bad thing. See a list of Iceberg’s branches. You don’t have to go far to get your fix of good sisig as there’s probably a Sisig Hooray nearby. The quick preparation of your favorite type of sisig is a huge plus, especially if there are only mere minutes left in your lunch break. 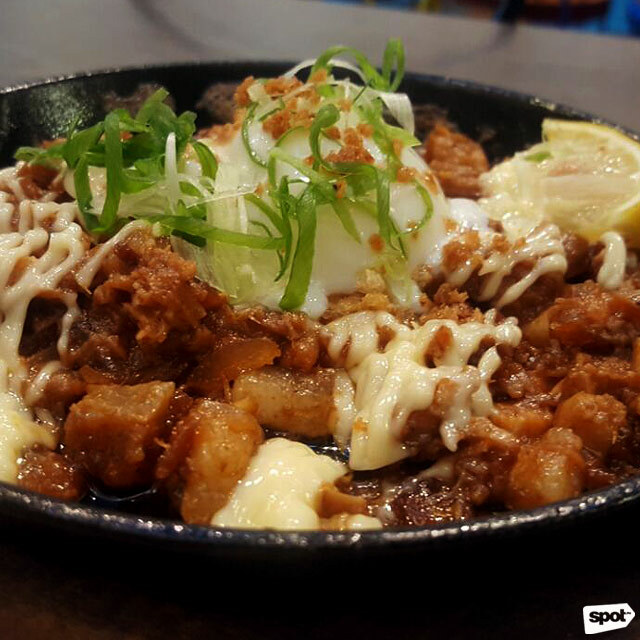 Their pork sisig is smothered in their special creamy sauce, a mousse-like concoction that tastes both tangy and somehow buttery at the same time. Chicharon is sprinkled over it in abundance, just watch for those stray hard bits. See a list of Sisig Hooray branches. Admittedly, it’s their signature oyster sauce that hogs the spotlight, as it lays thick on a heap of chopped pork bits. The generous drizzles lend a sweetish taste to the dish, while the egg adds more bulk and balances the strong taste of onions. The result is literally layers of flavor that come together in one distinct taste. See a list of Sisig Society branches. 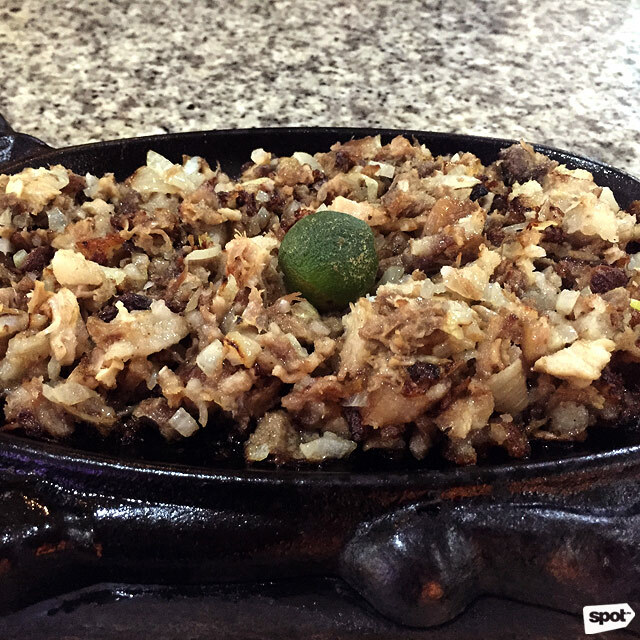 Reclaiming its spot from one of our older lists is this Kapampangan sisig made up of pork bits chopped into various shapes and sizes. As you take your first mouthful, you would notice one particular texture standing out: tender, shredded meat reminiscent of floss or maybe even corned beef. For the best bite, you may have to wait for a few minutes to allow the meat to absorb the spices simmering underneath. 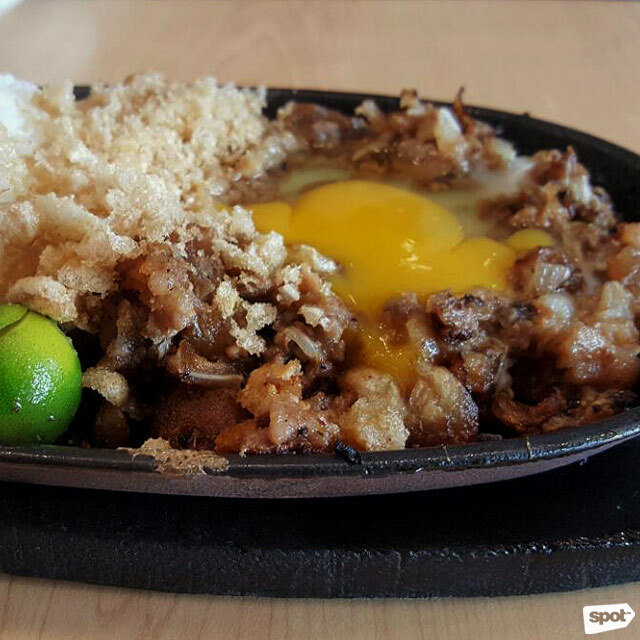 Once accomplished, feel free to also devour the crispy sisig chunks clinging to the sides of the cow-shaped sizzling plate. See a list of Razon’s of Guagua branches. 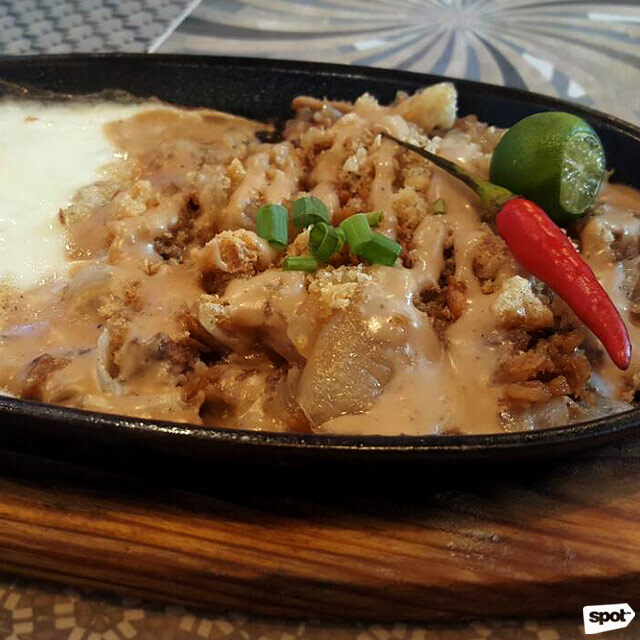 Prepare yourself for much fanfare when the Sizzling Sisig Aww is served. The flourish is much deserved, as you dig into the saucy mishmash of tender pork morsels with its generous dollop of creamy, mayonnaise-like topping. You’ll find that this sisig has the sweetness of lechon paksiw with ribbons of tartness weaving through it. While it’s quite a departure from your typical, chicharon-sprinkled sisig, you’ll find yourself willing to forego the traditional for this delicious mix of flavors. See a list of Pedro ‘N Coi branches. If you have any doubts about getting to the right Jolli Jeep, simply head over to the one with the long line. Expect to be handed a no-nonsense brown paper bag with a shiny, folded paper plate inside it, as well as a plastic bag containing clumps of pork coated with scrambled egg. Don’t be fooled by how it looks, because all it takes is one bite to validate the fuss about this absolutely addicting sisig. As you savor each bite in bliss and marvel at your change from the hundred-peso bill you handed over, you think that tomorrow you’re going to make that short, sunny trek to the Jolli Jeep again for more of this spicy, chewy, crispy sorcery and maybe also get a glass of lemonade for good measure. 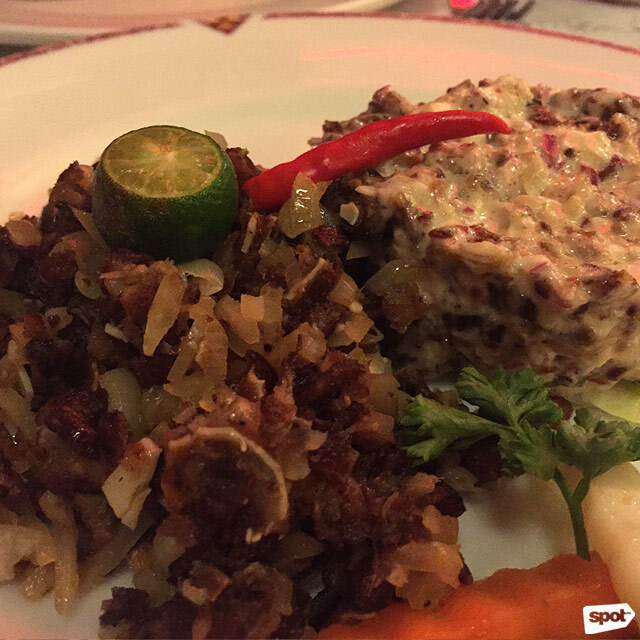 Café Juanita’s Sisig on Tofu ends the age-old debate: with or without mayonnaise? 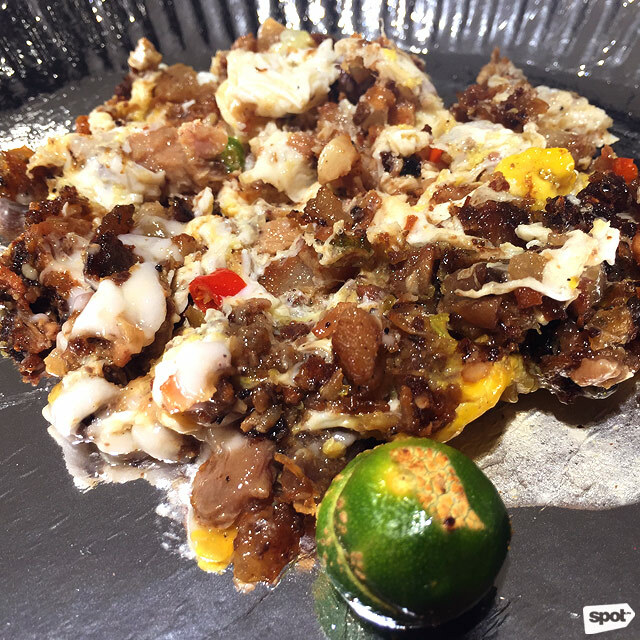 As the name indicates, their sisig is indeed placed on a bed of soft tofu. 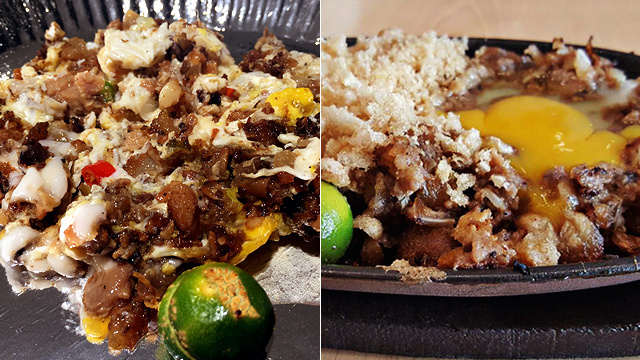 What you wouldn’t expect is, the sisig is prepared two ways: one part is mixed with mayonnaise, and the other portion isn’t. So which part is better? 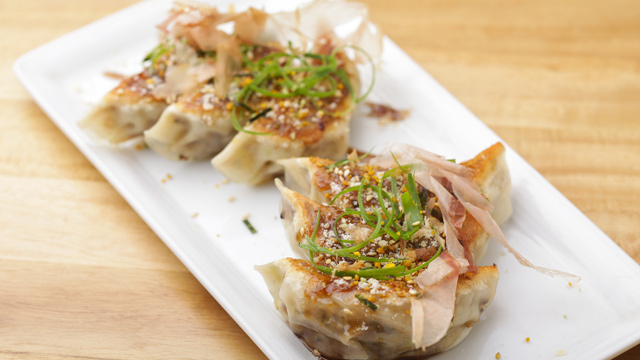 Make your decision with the help of the soft tofu as it keeps your palate guessing for every delicious switch. Allow the flavors to blossom in your mouth, with one kind of sisig unfolding in all its tangy, creamy deliciousness and the other unraveling enticing spices that would make your mouth tingle. 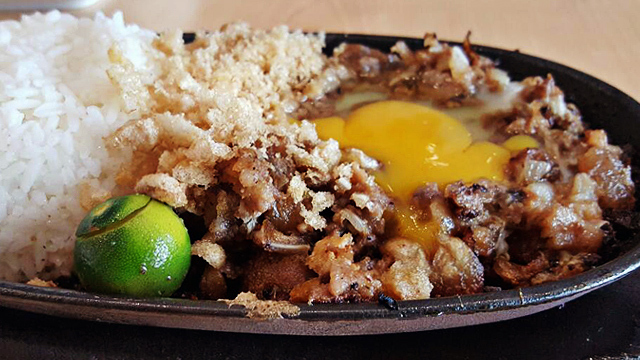 If you could have only one serving of sisig in a certain span of time, where would you go to get it? That’s a hard one, but we would head straight to Manam for their House Crispy Sisig. 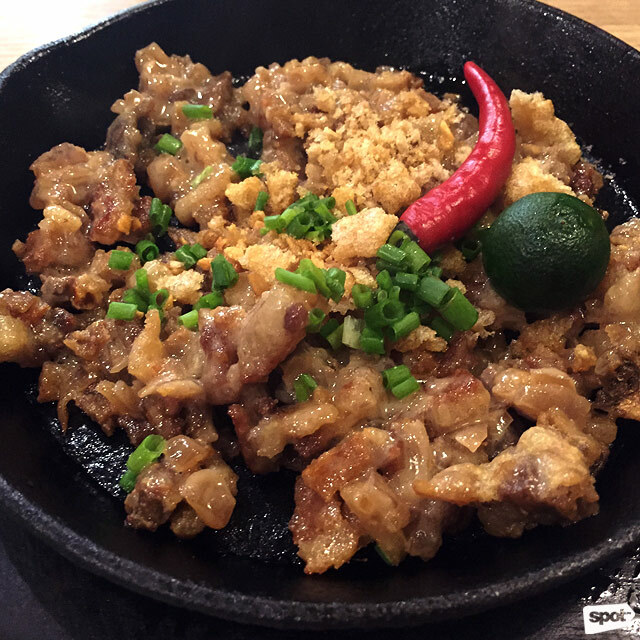 More than just the crumbly, delicate chicharon lightly sprinkled on top, the sisig itself is exquisitely crispy and unbelievably light on the tummy. Thoroughly mixed with a velvety, savory sauce, every heavenly bite would make you think of taking risks more often.